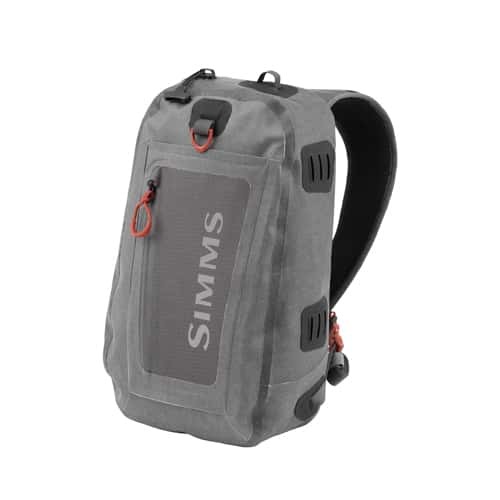 Z Sling Pack will protect your gear with TPU-coated fabrics and a waterproof/submersible one-way TIZIP zipper. This highly durable all-star features angler-driven considerations such as a net carrying system, magnetic docking station, and padded shoulder cross-harness with vertical-carry strap. Built in webbing keepers on all the straps provide for a sleek profile for low line catch as well as a fully cushioned, breathable back panel are just a few more features this Dry Creek Z Waterproof Sling pack has to offer. CAPACITY: 12 L, 732 cu. in.